77% of pupils in Year 8 at St Peter’s Preparatory School last year were successful in being awarded scholarships to their senior school of choice. For the last 5 years, the percentage of Year 8 leavers who have been offered scholarships has been steadily rising. 56% of the 2013-2014 cohort of Year 8s achieved scholarships and that figure now stands at 77% – an all-time high. 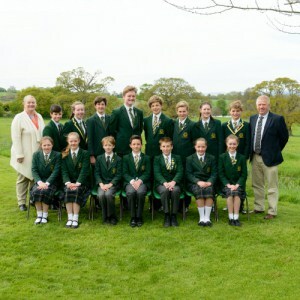 Although most children remain at St Peter’s Preparatory School until the end of Year 8, a small proportion moves on at the end of Year 6 and the most popular destination for St Peter’s Year 6 pupils in the last 3 years has been Colyton Grammar School. One of last year’s Year 6 pupils was successful in securing an A list place to Eton in 2020. St Peter’s is holding an open day from 10:00 until 12:00 on Saturday 6 October 2018 where prospective parents are given a tour of the School and Nursery by Year 8 pupils and a chance to chat to staff. To book onto St Peter’s open day on Saturday 6 October 2018 or their School in Action morning on Wednesday 14 November 2018, please telephone Rachel Elliott on 01395 280335 or email rachel.elliott@stpetersprepschool.co.uk.